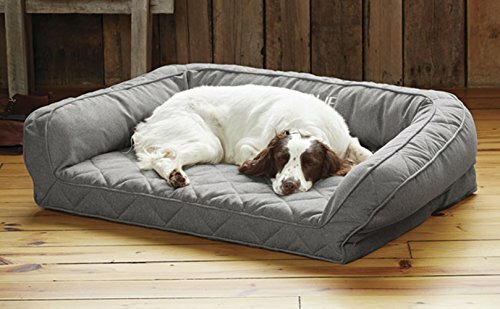 A supersoft FleeceLock™ sleeping surface adds plush softness to our best-selling bolster dog bed, while the 4″-thick slab of supportive memory foam, designed and calibrated specifically for dogs, cushions joints and promises orthopedic support. 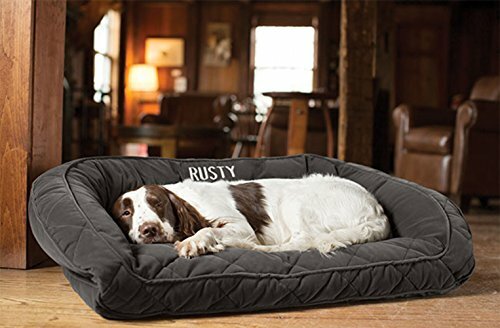 The streamlined, plush polyester-filled bolster provides added comfort and a sense of security. 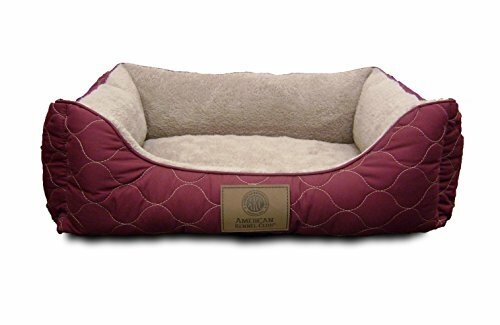 This bed is perfect for dogs who prefer more comfort and cushioning. Our exclusive FleeceLock won’t pill or shed. 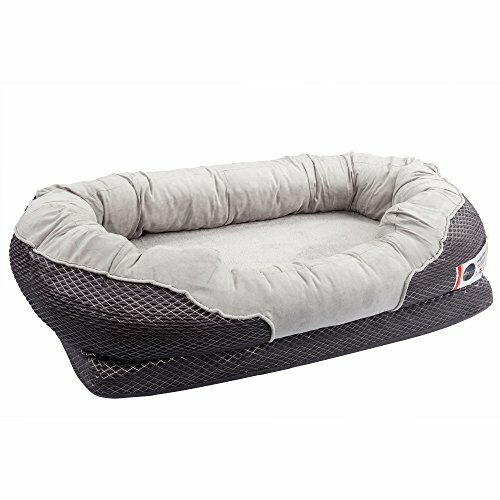 A water-resistant liner keeps the memory foam clean and dry. In khaki/natural, chocolate/black. 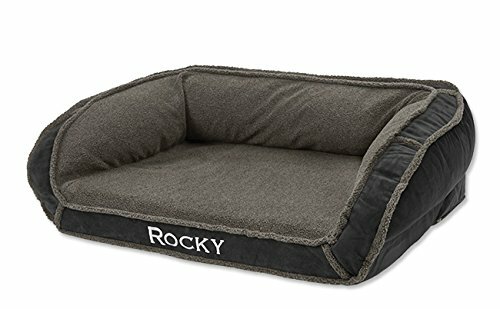 4″-thick memory foam. Polyester cover. 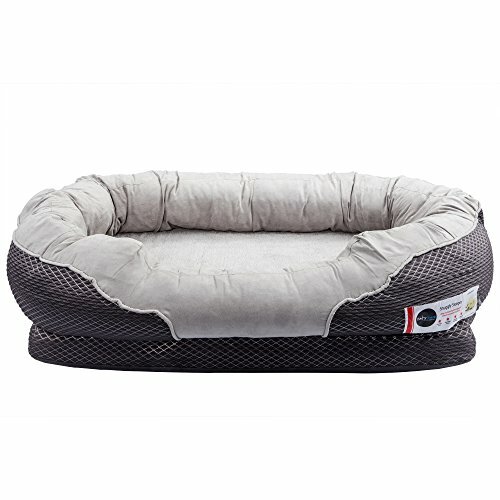 Cover is removable and washable. Shipped to contiguous 48 states only. Express shipping/gift packaging not available. Personalize with embroidery, up to 15 letters. Allow 2 extra days for delivery. Imported.